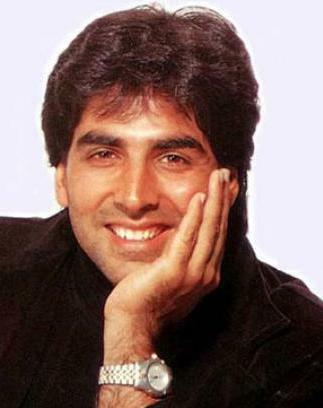 Akshay Kumar aka Rajiv Hari Om Bhatia, the great Khiladi of Indian Cine Industry, was born on 9 September 1967 when Scorpio ascendant was rising in vedic astrology horoscope. The lord of ascendant, Mars, is strongly placed in ascendant itself. And, this speaks a lot about Akshay Kumar interest in martial arts. Vedic astrology readings of strong Mars in ascendant are highly auspicious and have contributed a lot to Akshay Kumar success in film industry. Vedic astrology readings of Akshay Kumar horoscope indicate that Jupiter is exalted in Bhagya Sthana. Jupiter rules over second and fifth houses of Akshay Kumar horoscope. Saturn, placed in fifth, is not favorable because it obstructs the education, progeny and body parts related with stomach. Vedic astrology readings of sixth house are quite positive for Akshay Kumar horoscope. This is because Rahu (North Node) is placed therein under aspect of ninth house lord Moon. Placement of strong and cruel planets in sixth is always said to be supporting victories in the life of a native. The tenth house is occupied by the Sun itself along with Marakesha Venus. The exalted Mercury is in eleventh house of Akshay Kumar vedic astrology horoscope. However, the Mercury is combust and has lost most of its strength. Vedic astrology readings of combust planets are not very positive as such there are delays and frequent obstructions during the dasa/anatardasa of combust planets. The twelfth house in Akshay Kumar vedic astrology horoscope is occupied by the Ketu (South Node) and the Moon. And due to this weakness of ninth lord Moon Akshay Kumar has to struggle in foreign lands during his early young age. The highlight of Akshay Kumar vedic astrology horoscope is the placement of Mars in its own sign in Scorpio ascendant. Mars, being the army chief in planetary cabinet, blessed Akshay Kumar with strong interest in physical activities and martial arts. The placement of the Sun in its own sign in tenth is another blessing for Akshay Kumar vedic astrology birth chart. As per vedic astrology readings, placement of two strong male planets in Kendra (Angles) is highly auspicious. The placement of Jupiter, in exaltation in ninth house is another Mahabhagya Yoga giving wealth and fame in Akshay Kumar Horoscope. Vedic astrology readings of Akshay Kumar horoscope indicate that he is running under main-period of Ketu since August 2009 and it will remain operational till July 2016. The current release of Akshay Kumar is “Patiala House” dated 11 February 2011. “Patiala House” appears to be made and released in the light of forth-coming Cricket World Cup 2011. And, Akshay Kumar portrayed the role of a Cricketer (Bowler) in the movie. 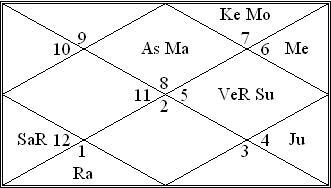 In Akshay Kumar vedic astrology horoscope, sub-period of Venus is under operation in Ketu’s Mahadasa. For Scorpio Ascendant, the Venus is a strong Maraka planet and operation of its antardasa under the main period of Ketu placed in twelfth house is not likely to be very positive. However, as the movie “Patiala House” was released on the day when the Moon was also transiting over Aries – chances of movie doing very bad are not there. Overall the movie is very likely to remain around average for the producers. Though, Akshay Kumar may not be very satisfied with the public response over his performance in the movie. 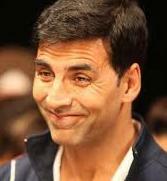 The oncoming movies of Khiladi Akshay Kumar are, “Thank You”, “Desi Boyz”, “Joker” and “Housefull 2”. Romantic Comedy “Thank You” is currently scheduled to be released on 8 April 2011 when Akshay Kumar will be under Ketu/Venus/Mercury as per his vedic astrology horoscope. The transit position of planets is also favorable for Akshay Kumar vedic astrology horoscope. Therefore, the chances of success for the movie “Thank You” are reasonably good. On the day of release, the Moon is exalted and Mercury, Mars and Jupiter are combust. Akshay Kumar is said to be suffering from physical ailments like back-pain since recent past. And, as per his vedic astrology horoscope, Akshay Kumar is going through the sub-period of Maraka Venus till June 2011. Therefore, he has to be very careful regarding his health and eating habits. Birth Chart Astrology wishes him all the best in his life. You can mail me at rajshekharsharma2010@yahoo.com for personal horoscope readings.